This project is for anyone who loves English Paper Piecing with a dash of appliqué and LOVES small pieces...then this is your jam! Bitty Brimfield Star is quite literally bitty! 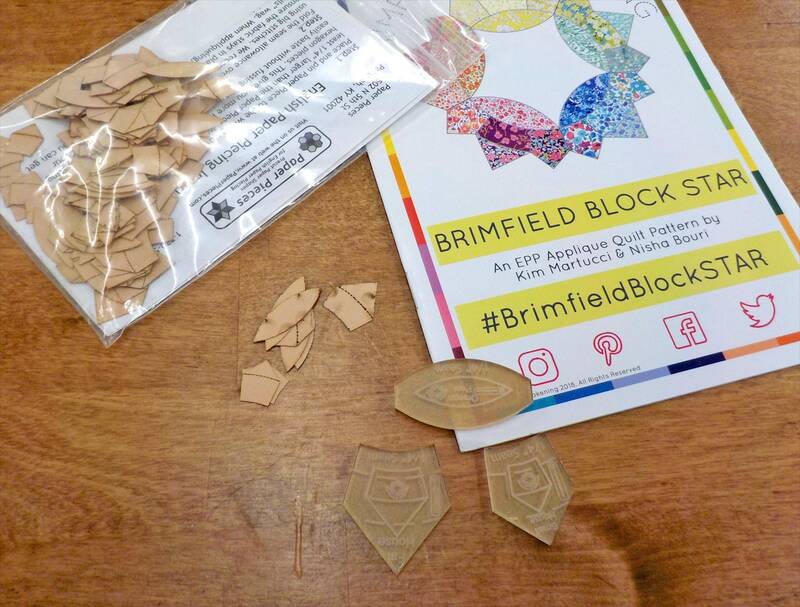 Bitty Brimfield Star is 25% smaller than the Brimfield Star Block..so approximately 3 1/2 inches! Bitty Brimfield Star measures approximately 12 x 12 inches.